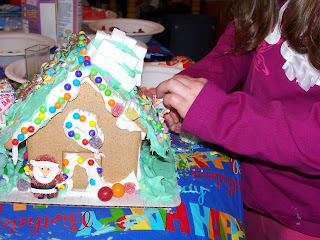 You may remember my post earlier this month about our gingerbread play date. 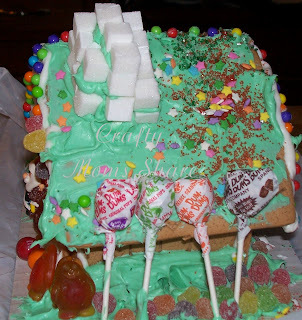 Well before it I had picked up on clearance a gingerbread house kit. After talking to the other mother and realizing both children would want to keep the house, I decided to save it for just me and Hazel. 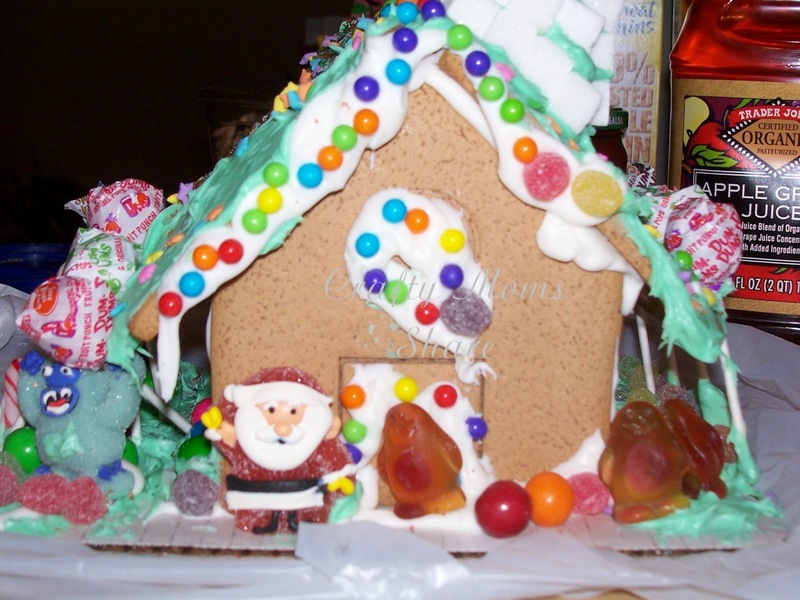 Now this was the special Rudolph house kit so it came with a candy Santa, Rudolph and Abominable Snow Monster. 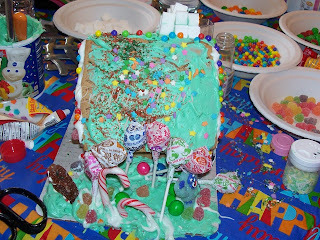 We also used some of our extra lollipops as trees, though we had trouble getting them to stay up. Oh, and Hazel decided our gummy penguins are really elves. 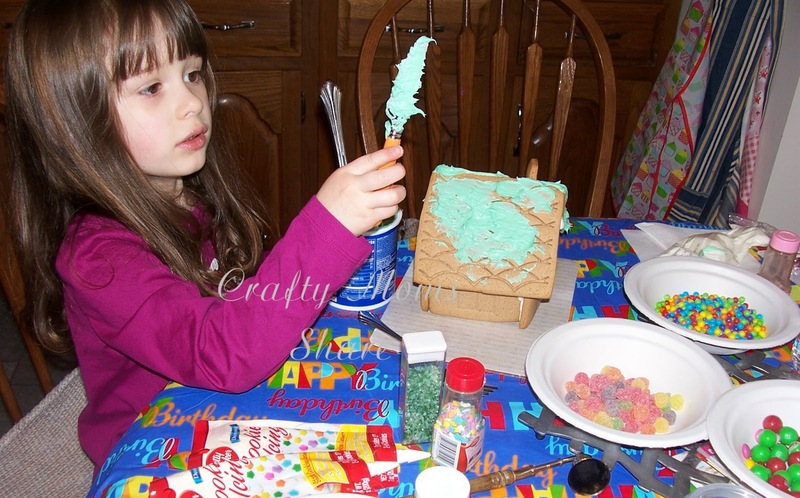 I also pulled out some green frosting I bought on clearance post Christmas and all the extras we had from her party and play date for decorating. Hazel loves playing with the frosting and candy. 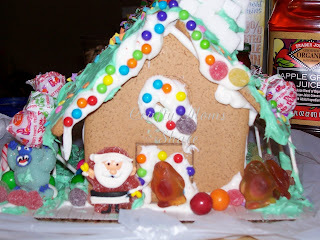 We put star sprinkles on the roof. We decided it was a magic star roof. I'm not sure what magic it can do, but we liked it. So now we have a gingerbread house on display in our dining room and our kitchen. Hazel is very excited to show everyone our new gingerbread house. She did ask to keep it forever, but I think I explained well enough that it would not be good to do that. Hopefully it won't cause a tantrum when the time comes to throw both away. Last year we used candy hearts on our roof on our post Christmas gingerbread house. Now is the best time to get the kits for practically nothing and she still enjoys it so much. 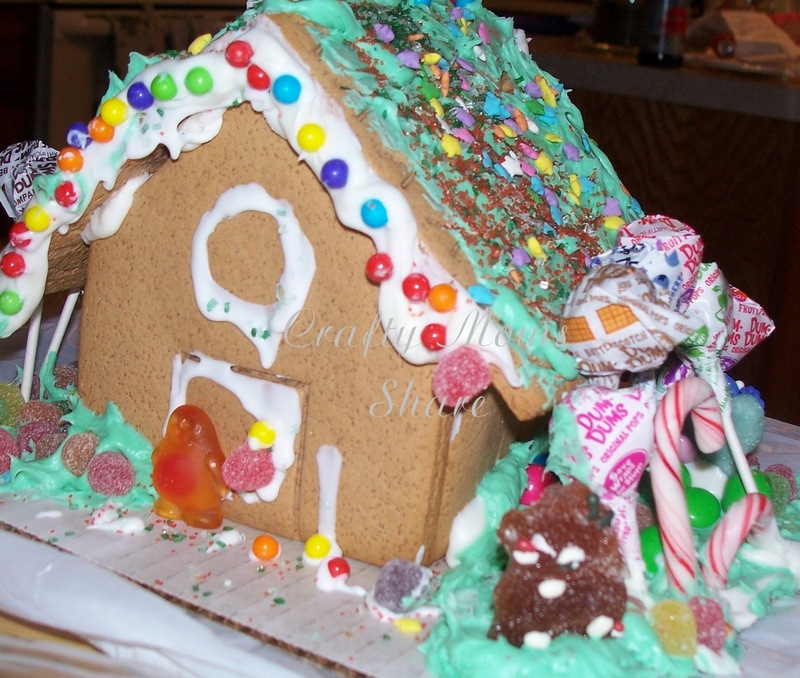 Do you do any Christmas things in non-Christmas time? Hazel did a spectacular job decorating. Thanks for sharing on Family Fun Friday!